Goodness gracious! 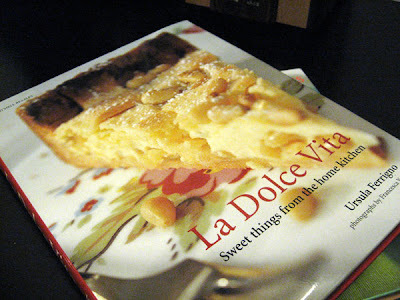 I have added another cookbook to my collection ! 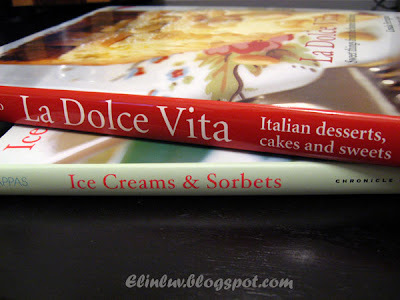 :p :) How could I resist this book Italian La Dolce Vita - Sweet Things From The Home Kitchen…awww really, I am just speechless but I do love some of the recipes in there. Those colorful pictures have me itching to bake them :p Will try to bake them as soon as I find the time. Now I am busy with some projects I am doing :) but this is the lastest update on books I bought. New year resolutions are made not to be kept LOL! 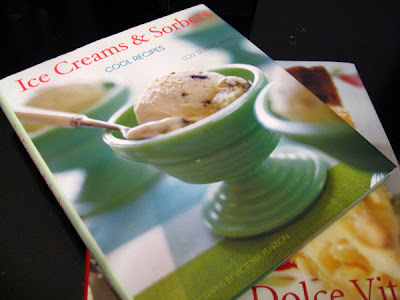 The other ice cream book was given to me as a gift from my Piggy gal for Xmas. I have forgotten about it after unwrapping the wrappers. Haha found it among other books in the room….shhhhh don’t tell her that or she won’t give me any more. this is one stolen glance and I am sold ! 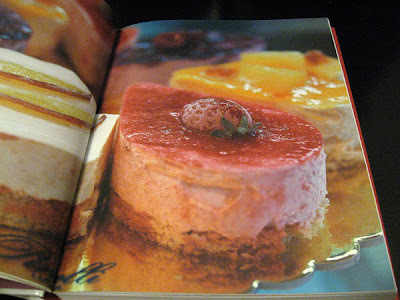 Wooow...I love this kind of sponge cake...light and delish ! Cool! 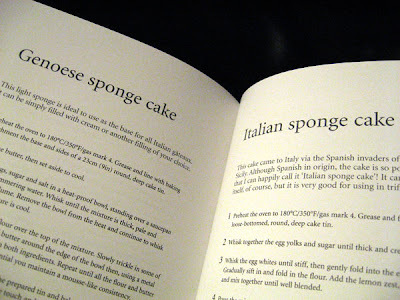 I hope you start trying some of the recipes from the book sooooooooooon! I know I won't be able to put my hands off those books! Good gracious, thank god I am a very well self control person. haha.... So, no expensive cookbooks! Can only read at the store and no carry out! haha... I think the shop will go bankrupt if all the customers are like ME! Btw, did I mention to you that I've an award for you? Do drop by to collect it. Hope to see more baking from you.